It looks like wave (2) has been already completed, and right now the pair is in the very beginning of the third one. Most likely, the price will continue moving downwards in the nearest future. 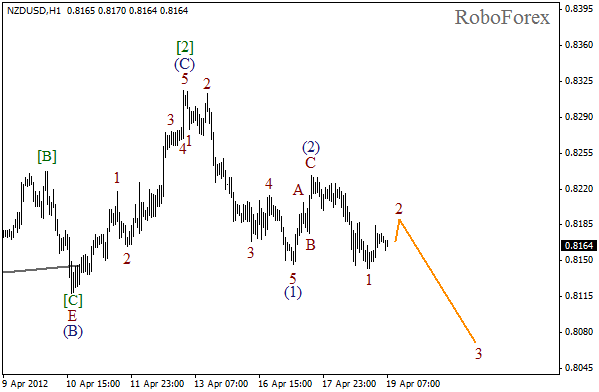 The target for the bears is at the level of 0.7950. As we can see at the H1 chart, wave (2) has taken the form of zigzag pattern. On the minor wave level the price has finished an initial descending impulse. Currently the local correction is taking place, and after it is finished, the pair will start falling down inside the third wave. 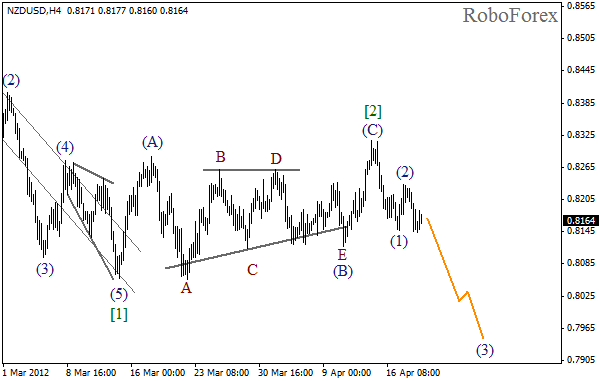 Euro continues forming wave 2, which may take the form of double zigzag pattern. On the minor wave level wave Y is almost completed. 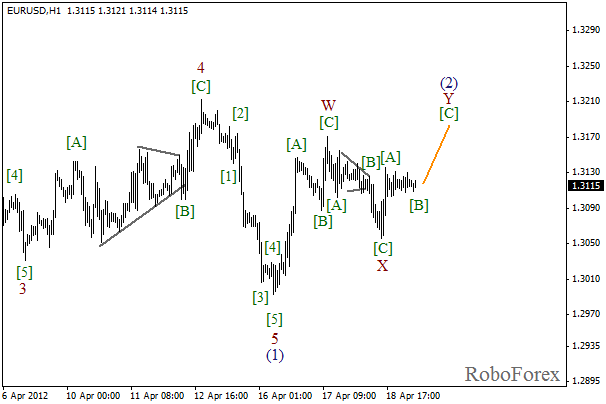 The price may reach a new local maximum during the day, however, and then the pair may make a reverse and start moving downwards in wave (3). 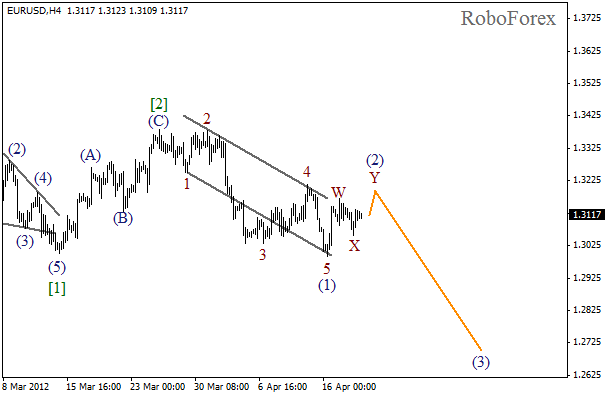 At the H1 chart the correction needs one more ascending wave in order to be finished. The market has been consolidating inside quite a narrow trading range over the last several hours. Most likely, in the nearest future the pair will start grow up in wave [C] of Y.